Butchers throughout Scotland have had tremendous success with a recipe concocted in Buckhaven. The unlikely combination of Sweet Chilli and Iron Brew has proven to be a great success when filled into a sausage skin. 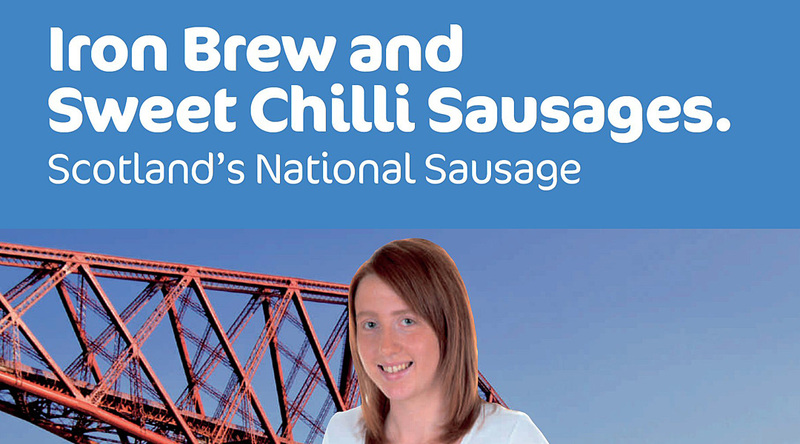 Stuarts of Buckhaven came up with the idea and then won the Speciality Sausage Contest for Scotland’s Craft Butchers in May last year. 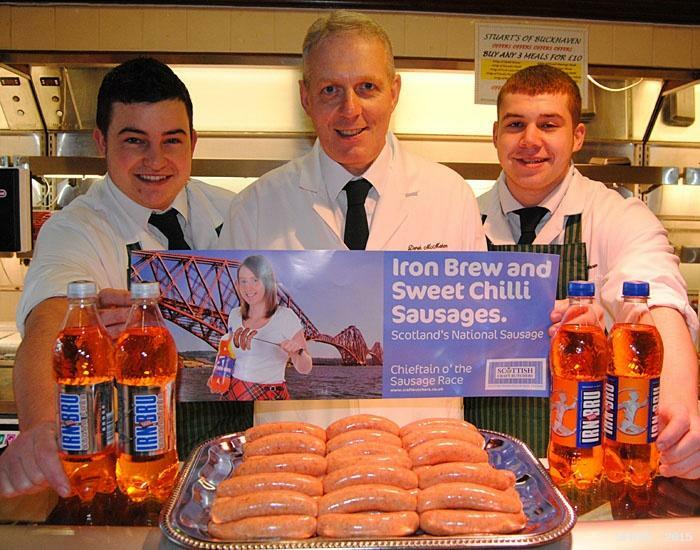 Scottish Craft Butchers the body that looks after the interests of 450 Scottish butchers’ shops accepted Alan Stuart’s challenge and the Sweet Chilli and Iron Brew Pork Sausage went nationwide for National Sausage Week which ran from Monday 31st October. The winning recipe and point of sale material was sent out to all the craft butchers shops throughout Scotland and they were able to make this latest invention. 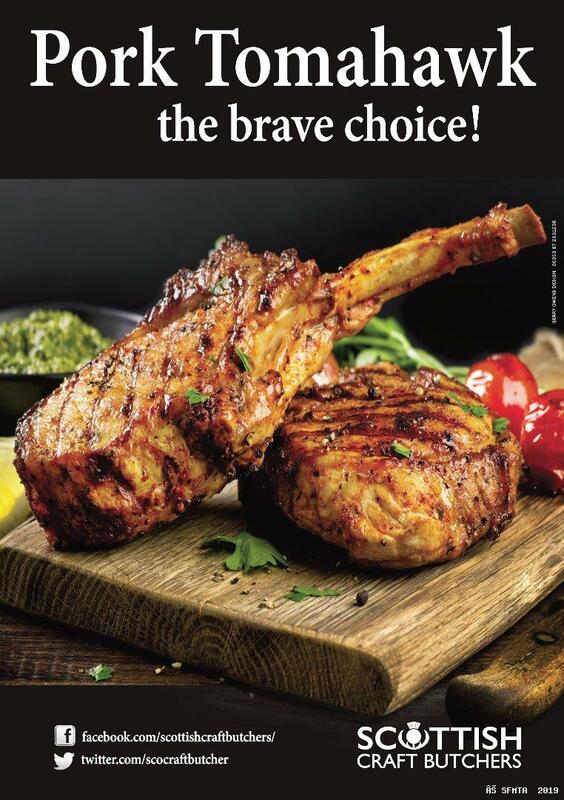 Since the recipe and posters were sent out Scottish Craft Butchers’ Perth office has received calls from butchers from John O’Groats to the English Border all saying how delighted they have been with the recipe and stunned by just what a sizzling success they have turned out to be.